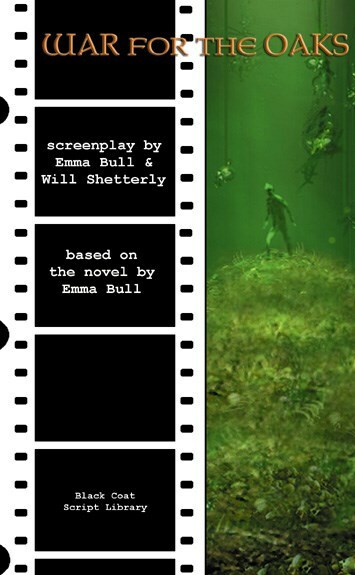 WAR FOR THE OAKS (THE SCREENPLAY) by Emma Bull & Will Shetterly based on the novel by Emma Bull - cover by Stephan Martiniere. US$15.95/GBP 9.99 - 5x8 tpb, 176 p. - ISBN-10: 1-932983-08-2, ISBN-13: 978-1-932983-08-1. Adapting the award-winning magical realism classic about a war between faerie kingdoms in modern-day Minneapolis.